Dental veneers are rapidly becoming more and more commonplace. They, in short, are narrow customized shells that conceal teeth. The goal behind veneers is to make the teeth look better. Dental professionals attach them to teeth to adjust length, size, shape and color. If you’re thinking about getting dental veneers anywhere in the Boynton Beach, Florida area, you can jump for joy today. That’s because Boynton Laser Dental Center is available to provide you with the finest veneer assistance in the region. We give patients many choices in exciting and modern dental procedures here. We specialize in a vast array of cosmetic dentistry treatments. We specialize in general dentistry, preventive dentistry, restorative dentistry, dental implants and laser dentistry, too. If you’re looking for professional assistance with TMJ (Temporomandibular Joint Disorders), sleep apnea, teeth discoloration, gum disease or anything else at all, you can turn to our team of skilled experts. If you’re trying to find a capable dentist who can manage your general dentistry needs any time you need a regular checkup, you can lean on our practice as well. Dental veneers are just the beginning of our available treatments. Our team members can dazzle you with their significant oral health knowledge. Dental veneers are strong options for many different types of patients. That’s because these veneers can address many diverse kinds of aesthetic issues. Patients who have significant discoloration of teeth frequently opt for dental veneers. If you dislike looking in the mirror or at photographs of yourself and noticing unattractive teeth that are yellow or brownish in appearance, veneers may be able to help you. Many different factors can lead to teeth discoloration in people. Poor dental care practices and regular intake of colas and coffee can often cause discoloration. 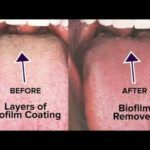 Immoderate fluoride, tetracycline stains, root canals and sizable resin fillings can often all bring on discoloration as well. The potential causes are abundant. Dental veneers aren’t just appropriate for patients in need of assistance with coloration, either. They can also be excellent treatment choices for people who have broken, chipped and cracked teeth. They can help patients who have teeth alignment troubles. They can even help those who have significant gaps in the middle of their teeth. If you’re unhappy due to a tooth that has an odd or abnormal form, dental veneers could be exactly what you need. If you believe that dental veneers may be right for you, get in contact with the staff at Boynton Laser Dental Center as soon as possible. Our staff members are a team of highly knowledgeable, hard-working, focused and committed professionals. They know a lot about dental veneers and how they function. We can answer any questions you have about dental veneers here. It doesn’t matter if your question is simple or complicated. You can depend on our expertise 100 percent. We can talk to you about how long you should expect veneers to remain intact and in strong working order. Dental veneers typically stay good for anywhere from five to 10 years. If you have veneers for a decade or so, it may be the right time to consider replacement. Our team can also talk to you about proper dental veneer upkeep. If you want to make the most of your veneers, you actually don’t have to worry much about any specific care instructions. Veneers are actually quite low-maintenance. If you want your veneers to work like a charm, all you have to do is keep caring for your teeth just like you always did. You should brush your teeth frequently. You should rinse and flush them frequently as well. Antiseptic mouthwash use is essential for people who want optimal dental health. Porcelain veneers are highly invulnerable to staining. It can often be wise, however, to steer clear of drinks and foods that commonly trigger stains. Red wine, tea, cola and coffee are all common culprits. If you’re seriously contemplating getting dental veneers in Boynton Beach, do the smart thing and reach out to Boynton Beach Laser Center today. Our dental veneers can help you feel confident about your teeth like never before. Don’t forget that we specialize in many other kinds of dental treatments, either. Some of these treatments include bridges, bonding, teeth whitening, dental implants, onlays, inlays and tooth removal. Call our friendly Boynton Beach office as soon as you can to learn more about our services and to set up an appointment. Halitosis or Chronic bad breath and how to treat it . 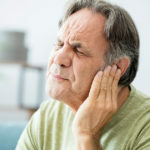 Tinnitus – That annoying buzzing or ringing in your ears.